baseballs, sports cards or photos. Showcase 3 autographed baseballs in this great display. 1 line free engraving Max 22 Letters. 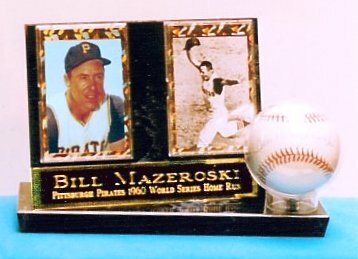 Showcase 4 autographed baseballs in this great display. 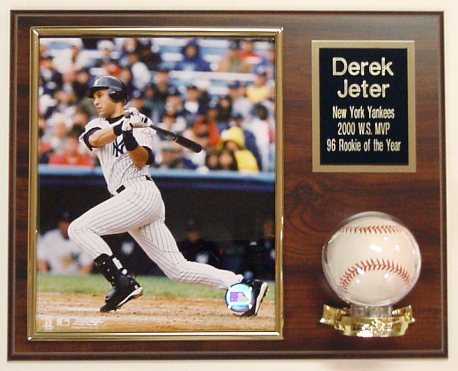 Showcase your autographed baseballs in this great display. 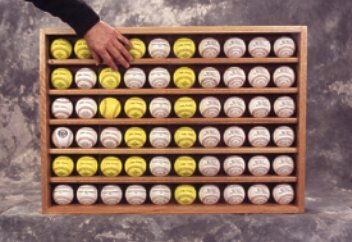 Holds up to 60 balls. Acrylic Sliding Doors. This one holds 10 balls per row and has 6 rows. plus 2 cards in this great display. Line 1 - up to 35 letters per line. Line 2 - up to 55 letters per line. Hand made in the USA for HHWEB.com. This case is made of top quality UV resistant acyrlic & handcrafted oak base. Line 1 - up to 22 letters per line. Line 2 - up to 30 letters per line.